There is a newborn baby fresh in the royal family. Prince Louis of Cambridge was born on April 23, 2018, born to Prince William, Duke of Cambridge, and Catherine, Duchess of Cambridge. The baby is 5th in line for the throne and is the couple’s 3rd child. 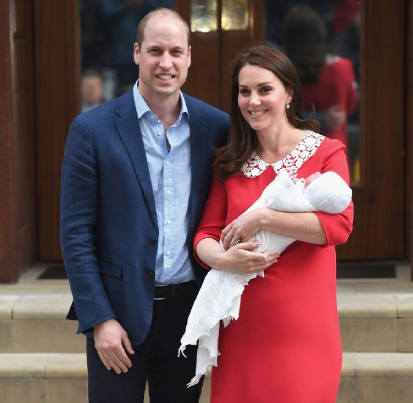 Although the young child is only less than two weeks old, the media is all over this new addition to the royal family in the United Kingdom. A small debate occured when the official birth certificate was released, because Kate listed herself as a princess. It was settled as that she cannot be called a princess since she is not of royal blood. However, she proudly assumes the female partnership of her husband’s title. And since he is a prince, she may be listed as, but not referred to as Princess Kate. The child was born at 11:01 and weighs 8lbs, 7oz and the father was present. The mother and child are both doing very well. Prince Louis was born in the same wing of the same hospital that both of his siblings were born with, keeping the ‘tradition’ as some say. Prince Louis’s name means “renowned warrior”. Everyone was very happy to hear that the baby came out as planned and is very happy and healthy.